IMC OnAir praesentiert das 2-stuendige special „From India to Europe – Festivalreport 2007“. Es schliesst an den Festivalreport 2006 an. Hier wurde bereits einiges Interessantes und Wissenswertes zur Geschichte und Entwickung der indischen Musikfestivals, der Sangita Sammelana-s vorgestellt. Teil 1 u. 2 von FestivalReport 2007 stehen unter der Themenueberschrift “Generationenwechsel ? – Musikkonferenzen & Nachwuchswettbewerbe”. Im Teil 1 beleuchtet IMC OnAir die aktuelle Musikszene in Indien. Teil 2 gibt einen Blick auf die Nachwuchswettbewerbe und internationale Festivalszene. Alle zurueckliegenden Sendungen finden Sie auch als kostenlosen PodCast zum Nachhoeren (siehe Archiv). Die indischen Musikfestivals erfreuen sich international einer wachsenden Beliebtheit. Der Ursprung der Sangita Sammelana-s, reicht bis ins 18. Jahrhundert zurueck. Den Charakter als Kammermusik hat sich die indisch klassische Musik Nord- und Suedindiens auf den grossen Buehnen in Kolkatta, Neu-Dehli, Mumbai, Pune und Chennai bis heute bewahren koennen. From India to Europe … FestivalReport. IMC OnAir presents it’s special feature “From India to Europe … FestivalReport” in a two hours show broadcasted via radio + podcasting. The FestivalReport2006 has it’s focus on the history and development of the biggest music festivals in India, so called “Sangita Sammelana-s“. Moving from the 20th to the 21st century the festival culture nowadyas presents itself to the live audience far over the borders of India. The origin of the Indian music festivals can be dated back to the 18th century. One of the eldest Festivals for Dance and Music is the Chennai Dance & Music Festival, which has it’s roots in the first Margazhi Festival in 1927 … It is astonishing from most of these fantastic festivals there exist only some few live recordings being published. At the end of the 19th century Raja S.M. 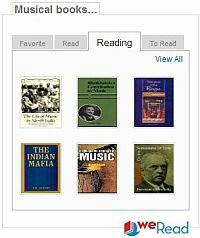 Tagore had proclaimed as a rich landowner from Bengale a campaign in favor of the Indian Classical Music. He published or let publish different art works and gifted collections of instruments to museums in Europe. Rabindranath Tagore has been descended from this family as India’s most famous and genius universal scholar and nobel prize winner for literature (1922). During that time period first time music weeks were organized, so called “sagita sammelana-s” (music festivals). Herefore to all great virtuosos an invitation was extended. The Indian music festivals are a specific form of care of tradition on the sub continent as it is expressed by the names of many of the festivals to express the recognition and to honour the diligence in art work of India’s famous music maestros. All metropoles in India dispose of an annual and profiled festival programme for Indian Classical Music. 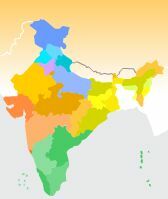 From the south west head in Tirvandrum, in Chennai (former Madras on the East coast), in Mumbai on the west cost to both capitals of India, New-Deli as the main capital and head office for politics and administration and Kolkatta (former Calcutta) as the cultural capital many considerable events extist: Tansen Music Festival (Tansen Sangeet Sammelan), Thyagaraja Music Festival, Savai Gandharva Music Festival Pune, Saptak Music Festival, Soorya Festival, Swati Tirunal Festival, ShriKrishna Gana Sabha, Madras Music Academy Festival, Vasanta Habba, SRA Music Festival, Swami Vivekanand Birthday Music Festival, ITC Sangeet Sammelan or Dover Lane Music Festival & Music Conference. The audience enjoys the the visits of numerous great musicians, the “who’s who” of Indian Classical Music. Even the younger generation of artists get the chance to perform with the best of their owns. Far over India the sangita sammelana-s pleasure a growing popularity and derivation worldwide. Since centuries between India and Europe exist economic and diplomatic relationships. However late in 1985 the cultural spectacle “Cultural Festival of India”, an event of 33 days duration took place in London, which was unique in the Western world till that time. Indian Music and it’s melodies, the sciences and spirituality of India, the arts and architecture were being presented. All decorations had been manufactured in India and being transported by ship to England. In the last decades, during the immigration wave from the British Commonwealth in the fivtees and sixtees existed several endeavours to keep alive the cultural heritage of India on different continents. Lakshminarayana Global Music Festival, Charindaa – The Festival of Indian Music in Australia, Festival of Universal Sacred Music (New York / U.S.A.), Southampton Mela Festival, Raga Festival 2006, a concert edition in the West Midlands Englands, darban – South Asian Music Festival, world new music festival and others more. Die Förderinitiative “IMC – India meets Classic” präsentiert zu Indien’s Festivalsaison (jährl. Dez.-Febr.) in einer 2-stündigen Sendung – das special “From India to Europe – FestivalReport” (Teil 1 u. 2). Er steht unter der Themenüberschrift “World of Indian Rhythms” und schliesst an die reguläre Sendung “Raga CDs des Monats” mit dem Thema “Tala – der indische Rhythmuszirkel” (Tala – Indian Rhythm Cycles) an. In Teil 1 werden TablaSolos von drei der herausragenden Meister auf dem indischen Trommpelpaar der nordindischen Klassik präsentiert, mit Live-Aufnahmen vom Darbar South Asian Music Festival (in 2006). In Teil 2 unseres specials “FestivalReport” mit Sendetermin am 18.01.2016 – 22:00-23:58 Uhr @ TIDE Radio (und weltweit als webradio) stellen wir dem dominierenden Trommelpaar der nordindischen Klassik, der Tabla ihren Compagnion der südindischen Klassik, der karnatischen Musik gegenüber… der Mridangam. The promotion initiative “IMC – India meets Classic” presents during India’s festival season (December – February) it’s special feature of two hours broadcasting (part 1 and 2): “From India to Europe – FestivalReport“. The FestivalReport is set under the topic “World of Indian Rhythms” and attaches to the regular monthly show “Raga CDs of the months” with the topic “Tala – Indian Rhythm Cycles”. part 1 presents „Tabla Solos“ of three outstanding masters on the Tabla, the Indian drum pair of North Indian Classics (Hindustani music), a documentary of live recordings of the Darbar South Asian Music Festival (in 2006). Pandit Kumar Bose, governor of the Benares Tabla Gharana. India possesses a multiplicity of drums and percussion instruments. Among the oldest rhythm instruments for Indian classics ranks the Mridangam, a traditional drum. Its name already appears in the Rigweda in the 3rd pre-Christian millennium. In North Indian Classics (Hindustani music) the Pakhavaj was established, a larger execution of the Mridangam. 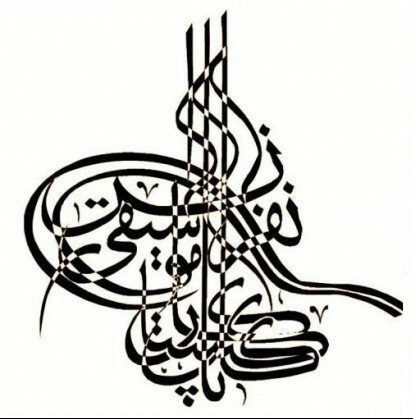 The Pakhavaj is characterized by a deep, full sound and a multiplicity of percussion techniques. 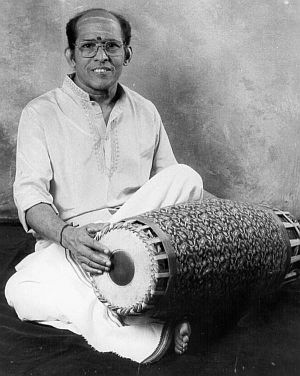 The Tabla is a kind of “splitted Pakhavaj/Mridangam”, a drum pair. The smaller drum, the Tabla is manufactured from wood. The deep sounding bass drum is called Baya and made of metal. Tabla and Baya both are covered with goat skin. The Tabla player is equally soloist and accompanist for the main instrument or singer. A large range of compositorial forms are at the disposal to a Tabla maestro, he basis his improvisations on arranged independently within a raga performance and same supplementing the main instrument or vocalist. In part 2 of our special we face the tabla with its compagnon, the Mridangam of South Indian Classics (Carnatic music)… with broadcasting on 18th January 2016 (4:00 pm EST / 10:00 pm CET @ TIDE Radio (and worldwide as webradio)). The word „mridangam“ is derived from the Sanskrit “mrid” and means loam or earth and “ang” as the body. In former times mridangams were made of tempered clay/tone. In favor of the durability manifacturing developed to use different woods. Today the mridangam is considered as the typical representative of South Indian Classics. The mridangam is seen as the instrument of the Gods – “Deva Vaadyam“. In ancient Hindu sculptures, painting and mythologies the Mridangam is described as the instrument selected by different divinities: Ganesha, the protector and Nandi, the companion of Lord Shiva. With the development of the Mridangam same the rhythmic system of the Talas (or Taalams) progressed in South Indian music. The rhythmic structure of Hindustani music is defined in fixed patterns for a soloist on the Tabla, so called theka-s. In Carnatic music the musicians themselves count the beats by defined hand movements (waves) in a fixed speed. Thus the mridangist is more independent for his improvisational play. The technical structure of the Mridangam offers particularly by the composition of two membranes and a shorter sustain (compared with the Tabla) a more complex spectrum and variety of harmonic sound. 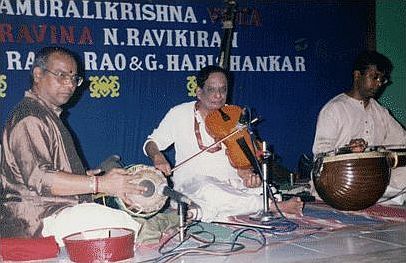 During the 20th century the big maestros established so called Mridangam schools with different play techniques. Two outstanding schools are the Puddukottai and Thanjavur school. Our listening examples on the Mridangam: Srimushnam V. Raja Rao, Sri Guruwayur Dorai, Chelvaraju, Sri Anantha Gopalakrishnan, Mannargudi A Easwaran… accompanied by Sri N. RaviKiran on the ChitraVeena, flute player Dr. N. Ramani, violinist Sri Mannu Ranjith and the vocalists Manasi Prasad and Dr. M. Balamuralikrishna. 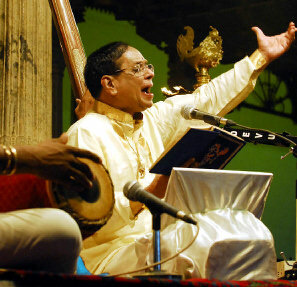 The recordings are audio documents from the Harballabh Sangeet Sammelan, the Indian Music Festival in Farifax (California), the Salt Lake City Thyagaraja Festival (Utah University), the Chleveland Thyagaraja Festival, the Swathi Sangeethotsavam, Chembai Sangeethotsavam and Chennai Dance & Music Festival. World-wide the Shree Baba Harballabh Sangeet Sammelan counts among the oldest festivals for North Indian Classics. On 25 December 2007 its 132 years anniversary was celebrated. Annually the Harballabh takes place on the last weekend in December in Jalandhar City. Already in the year 1919 Mahatma Gandhi – father of the Indian nation – visited the festival. In the year 2007 the 10 days Thygaraja Festival of Music & Dance was organized 65th times in Thiruvaiyaru, in Federal State Tamil Nadu – South India. 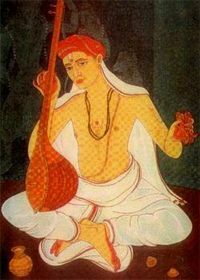 Thyagaraja was born on 4th May 1767 and lived till 6th January 1847. He received his name after Lord Thyagaraja, the divinity of the temples in Thiruvarur. Thyagaraja belonged to the trinity of South Indian Classics, together with Muthuswami Dikshitar and Syama Sastri. Thyagaraja composed hundreds of songs, which usually praises the Hindu deity Rama. Thyagaraja festivals were established at many places inf India and in the whole world, e.g. in Toronto, Colombo, Seattle (Unitarian Church University) or in Durban, the mekka for tourists in South Africa. Salt Lake City in US federal state Utah had organized 1997 its 1st Thyagaraja Music Festival on the campus of the University of Utah. Over the years this annually music event in May has established itself as one of the outstanding festivals for Indian Classics outside of India – completely in the tradition of the Indian Sangeeta Sammelana-s. The Cleveland Tyagaraja Aradhana is the largest festival for Indian classics in North America with more than 8000 visitors. In March 2008 (21st – 30th) the 10 days festival celebrated its 31st edition. It took place for the first time in 1978. The Swathi Sangeethotsavam is organized by the Federal State Government of Kerala in acknowledgment of Swathi Thirunal Rama Varnam. The Maharaja Swathi Thirunal lived from 1813 till 1848. The Swathi Sangeethotsavam takes place as a seven day event in the Kuthiramalika palace, close to the Thiruvanananthapuram City. At this place the “king of poets” composed many of his music pieces. As linguist and as regent of the Travancore dynasty Swathi Thirunal had affected the cultural development of Kerala very effectively and by his art work he had enriched both North Indian and South Indian Classics. The festival is dated annually from 6th till 12th January and has its programmatical emphasis on the performances of Swathi Thirunal compositions. Since 1974 in the Guruvayur Shri Krishna temple (Thrissur, Kerala) anually takes place a music festival in memory of the singer Chembai Vaidyanathan Bhagawathar: the Chembai Sangeethotsavan. The Chennai Dance & Music festival had its beginning in the year 1927 with the All India Music Conference. Concerts (Kutcheris) are organized by a network of hundreds of cultural organizations (Sabhas). All in front till today since the establishment of the festival stands the Madras Music Academy. The Festival season of Chennai speaks for itself… from here the impulse for the entire South of India proceeds: retaining cultural traditions, equally for talent promotion and as engine of the music industry. Die Förderinitiative “IMC – India meets Classic” präsentiert kurz vor Weihnachten 2015 in einer 2-stündigen Sendung – wie jeden 3. Sonntag auf radio multicult.fm – das special “From India to Europe – FestivalReport” (Teil 1 u. 2). Er steht unter der Themenüberschrift “World of Indian Rhythms” und schliesst an die reguläre Sendung “Raga CDs des Monats” mit dem Thema “Tala – der indische Rhythmuszirkel” (Tala – Indian Rhythm Cycles) an. In Teil 2 unseres specials “FestivalReport” mit Sendetermin am 20.12.2015 (15:00-17:00 Uhr) stellen wir dem dominierenden Trommelpaar der nordindischen Klassik, der Tabla ihren Compagnion der südindischen Klassik, der karnatischen Musik gegenüber… der Mridangam. The promotion initiative “IMC – India meets Classic” presents close to Xmas 2015 a special feature of two hours broadcasting (part 1 and 2): “From India to Europe – FestivalReport“. In part 2 of our special we face the tabla with its compagnon, the Mridangam of South Indian Classics (Carnatic music)… with broadcasting on 20th December 2015 (10:00 am EST / 04:00 pm CET @ radio multicult.fm (and worldwide as webradio)).